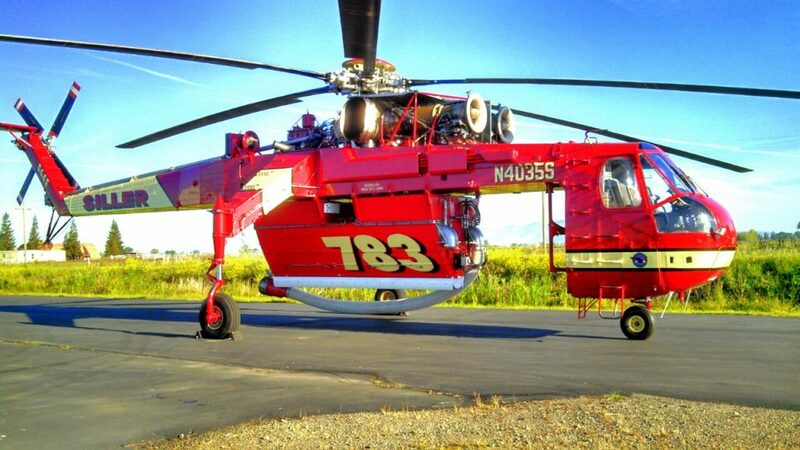 Aerial Choreography | Siller Helicopters, Inc. While every job is unique, there are a few exceptional operations that fully challenge the abilities of most aviators. 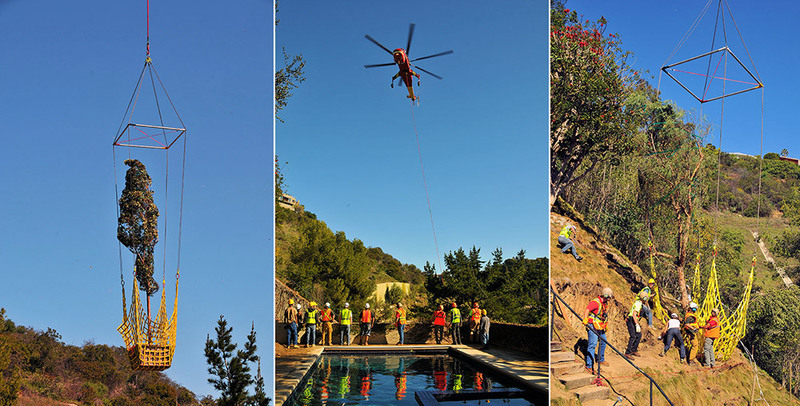 So when Elon Musk, famed CEO of Tesla Motors and SpaceX, needed a unique solution for a demanding job at his Bel Air, California estate, Siller Helicopters rose to the challenge. Precision lifts are a signature of the company. Deceptively simple, the objective of the project was to remove several dead trees from the property and replace them with living counterparts weighing nearly five tons. The project would actively restore the tree line and expanding coverage to other areas of the yard. The most significant challenge however, was the location – nestled in in the foothills of west Los Angeles, the landscape of this affluent community of Hollywood elite made conventional removal techniques impossible. Densely populated and positioned on a steep incline, the area precluded the use of cranes, trucks and heavy equipment, leaving the client in need of a more creative solution. Consistent with his lofty ambitions, Musk and his team looked skyward for the answer. As with all Siller operations, the lift process began with meticulous planning. Interfacing with the client, as well as local and federal regulatory agencies, Jim Anderson, Construction Sales and Operations, and his team developed a detailed lift plan, which thoroughly structures flight operations, accounting for any possible variables and ensuring each component is tightly coordinated. The strict geographic limitations, combined with the populated area, meant lift tactics had to be carefully tailored to ensure the safety of bystanders and the crew. Trees, notoriously difficult loads due to an irregular center of gravity, required custom long-line rigging to ensure stability and payload security. With no area to land and a limited timetable, it was determined that this operation would have to be completed in one continuous run, relying on the combined experience of the Siller pilots, mechanics and support crew make necessary adjustments on the fly and ensure everything went smoothly. 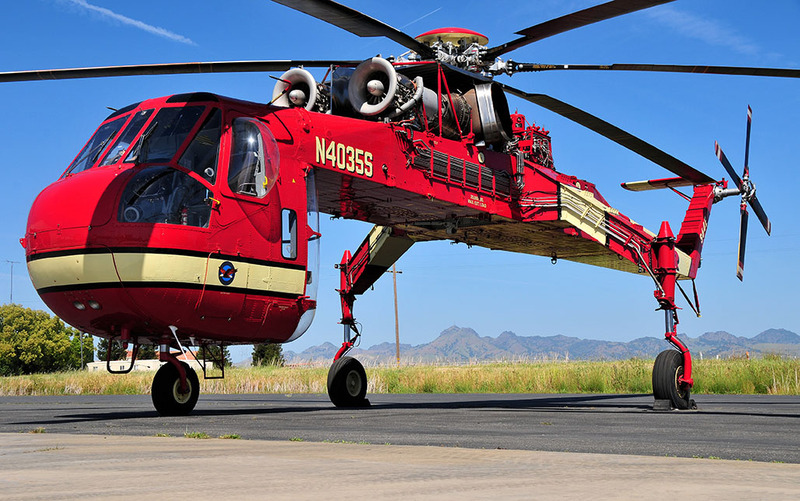 Leveraging the heavy-lift capacity and precise placement ability of Siller’s workhorse S-64E Sikorsky Skycrane, Pilot in Command Bill Nichols and his crew took off from nearby Van Nuys Airport. While en route, the 10 new trees were readied for pick up, minimizing the downtime and ensuring the operational ran uninterrupted. 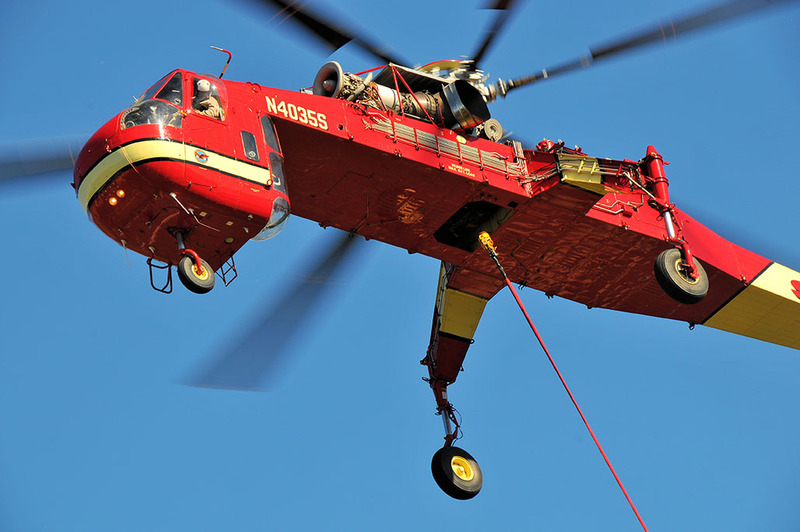 The nearby area evacuated as a safety precaution, the Sikorsky completed all lifts in just under three hours, placing the trees in designated area only a few feet in diameter, while never landing for fuel or maintenance. The mission successful, and Mr. Musk fully satisfied, the team packed up and headed back to Yuba City. In the helicopter business, no news is good news. The difficult location and payload, coupled with an inability to land, made the logistical coordination for this job extremely challenging.